This is for the 300SDL - one of headlights has a large hole in it. Rather than replacing one, I'd like to replace both of them with something good quality. What do you recommend - I like the xenon as long as they don't have the 'pimped out' look - not my style. Just get some decent non-sealed-beam halogens. I have used non-DOT Hella lamps on a number of US-spec vehicles that were shipped with sealed beams, and have always been quite happy with them. The DOT non-sealed-beams are not quite as good, but still better than sealed beams. Just not as good as the European lamps. I've never had a problem with vehicle inspections using non-DOT lamps, but of course, your mileage may vary. 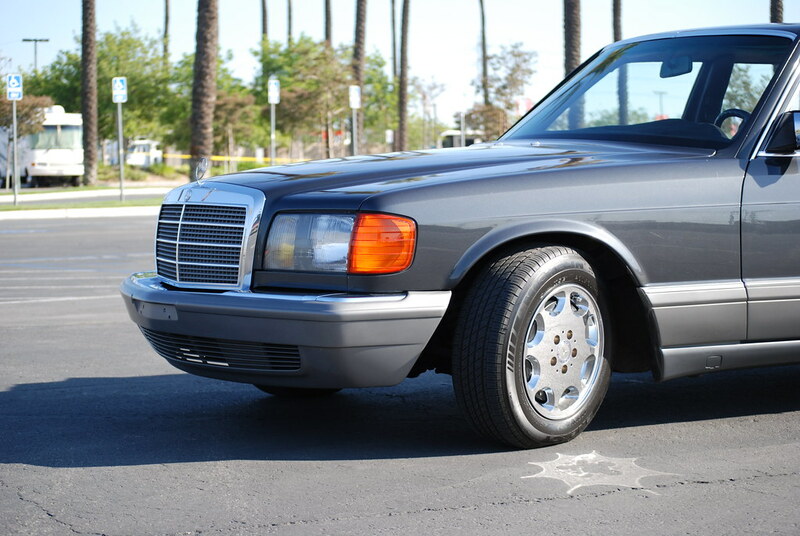 Get the factory euro market headights. If you can spend the $$$ get the Bosch ones, not knock off ones. Get the factory euro market headights. Got a link to one?! Well then, what I wrote really doesn't apply. I'm happy to hear that it wasn't shipped with them though. Sealed beams are trash foisted upon us. Our now-gone '83 SD had sealed beams, so I was projecting that to his car. But given your recommendation for Euro lamps, the US lamps must still be hobbled for that year. Doesn't surprise me. My '96 has good headlamps. A nice sharp cutoff, with a rise on the right side to illuminate road signs. You can never go wrong with Bosch/Hella Euro lights, seen on this beautiful 91 350SDL. There are many more available besides the ones I just linked. 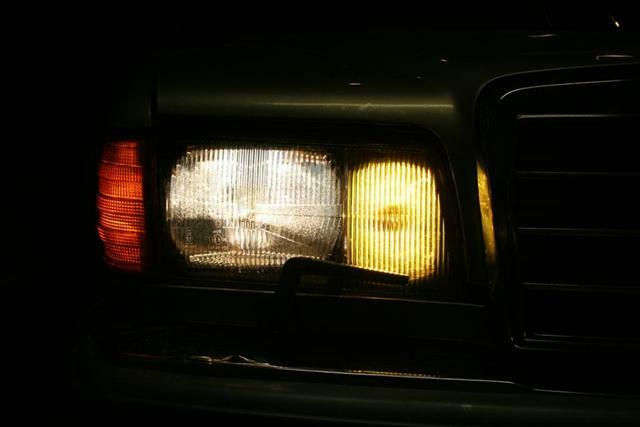 Check out Dan Stern Lighting website, he is very knowlegable about automotive lighting and Mercedes; I've bought the round 7" Cibie for my 300D, very pleased. I think my '96 lamps are a bit better than that for the pattern. But still, that's pretty good. However, I tend to not park inside the house, and I like to have two headlamps. Would be nice - but fighting for a single Left or Right one on EBay is not my idea of fun... if an opportunity comes along where someone has both of them for sale and they are pretty clean I'd go for it, otherwise I'll probably end up buying Bosh factory lights. -Condition of the glass: just like your US lights the glass gets pitted over time. Pitted glass = worse performance. -Condition of the reflector: The (silver?) on the reflector is easily damaged by moisture. When it flakes off it exposes the browish metal underneath. Avoid these fixtures, unless you're picking them up for spare parts. I don't know if the OEM ones are still available new... even if they are the cost will probably be quite high.